Contabo is a German hosting provider that has been catering its excellent services to customers around the globe for over 15 years. The company operates from two data centers based out of Munich and Nuremburg. Munich being their first ever data center also happens to be the company’s headquarters. From a humble beginning to dual data centers and souped up servers for high-performance, Contabo has come a long way. But the way the company is expanding its roots, all of this success seems just a beginning. Contabo’s multi-level hosting service makes it a popular choice among customers who are looking for instant service, year-round support and competitive prices. Contabo stands out from the rest with its best-selling VPS hosting plans, which deliver an excellent performance-to-price ratio. 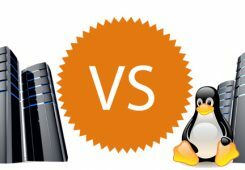 Their purpose is to offer the awesomeness of dedicated servers at an affordable price; hence VPS. Unrestricted traffic flow is another great feature of Contabo’s hosting plans. Even if you start small with their basic shared plan, rest assured that your website will be able to handle any amount of overnight traffic. Further, you can manage and control your hosting from one place, thanks to the integrated cPanel, which comes with an easy-to-use interface. Plus, Contabo enables you to install hundreds of free web applications and other features, such as a Guest book, chat, calendar, etc, with just one click. With an impressive hosting service, also comes a great website builder and that too at zero additional charges. You can bypass the complex process of development and designing and go on to build a nice-looking website using a template of your choice. The bare metal servers with custom configuration will definitely lift your spirits, as you can make your server perform the way you want and as your budget permits. The servers are powered by name brands, like Kingston and Samsung and are based on all-SSD configuration to deliver outstanding speed, reliability and overall performance. The average uptime guaranteed by the company itself is 95%, which might push customers away, but according to their recent press release, Contabo’s uptime goes up as high as 99.9%. Perhaps they are trying to be modest here, but it’s not the right time to do so because when it comes to hosting, most customers take everything at the face value. Our rigorous testing has confirmed that Contabo does ensure 99.9% uptime just like any other host but guaranteeing only 95% to be on the safer side actually keeps you, the customer, at risk. Contabo has come a long way from being a small hosting company limited only to a single datacenter and a handful of servers. Today, it has grown 5000 servers strong and still growing. A significant investment in their infrastructure shines through the high-performance websites that they host. When it comes to webpage speed, Contabo scores higher than several mainstream hosting providers. Have a look at the results below. The less the server response time, the better. In order for your website to fare better on the set parameters of Google, its server response time should oscillate under 200ms. Exceeding this mark will result in slow website, high bounce rate and a considerable dip in the ranking. Why should your SEO and content marketers pay the piper for the mistakes of your host? Do you see Contabo hosting a perfect fit for your SEO objectives? Have a look at the results below and decide. Contabo has datacenters in Munich and Nuremburg – the latter is an award-winning datacenter that has already gained immense popularity since its launch in 2014. Both datacenters perform extraordinarily in their own right, and you can make a choice according to your visitor-base. With impenetrable security layers between your website and hackers, Contabo deserves to be your hosting provider by all means. The virus and spam protection comes as standard, and there’s an SSL certificate with every webspace that you purchase on Contabo to facilitate secure transaction. Contabo treats your visitors like their own and makes sure they get fast browsing experience on your website, regardless from where they access it. With Cloudflare Content Delivery Network, any distant user can be brought closer to your website to enjoy speedy browsing. Hot link protection is a perfect way to keep other websites from leeching on your bandwidth. With hot link protection enabled on your website, a third-party website won’t be able to link directly to any resource on your website. When you buy a webspace at Contabo, you get an SSL Certificate as a token of security. Contabo does not charge anything extra for the SSL certificate; it comes included in your hosting plan. Contabo allows you to establish a secure connection to your server from a remote system via SSH. Getting access to your server via SSH gives you full control over your servers no matter where in the world you are located. The connection is a secure one, and nobody else can interfere without your permission. This is a great feature for business owners who want to release their servers to hosting managers for maintenance, upgrades, etc. Two-factor authentication is not available with Contabo. So, you need to be careful who all you let know your log-in credentials or whether they can be trusted or not, because lack of two-factor authentication makes your hosting account a bit more vulnerable to being hacked. Load Test is the measure of your website’s performance under high traffic influx. We profoundly admire the Dual Xeon and 10-Core dedicated servers, which are capable to handle any amount of traffic under ideal conditions – only if we were living in an ideal world. So, here we ran a load test to know how practical these servers are. By sending virtual users to one of the test websites hosted on Contabo, we got the results below. When your business expands and starts to generate multiple income streams, Contabo gives you domain extensions for each division of your business. You can have over 300 domain extensions to build an extensive yet close-knit network of your business domains. The company also offers a free domain to Shared users, and those who purchase the Webspace XXL plan get three domain registrations free of cost. Dedicated hosting users have a 12-hour server deployment privilege which would otherwise take three days. Contabo offers all this and much more to enhance their customers’ experience. Contabo is the hosting provider of today but rather puts on a dated account management interface. As far as the functionality and control are concerned, there’s a lot you can do with a few clicks. From viewing your account and payment information to rebooting servers and everything in between, all this can be done from the user-friendly control panel. With Contabo’s periodic backups, your data and configuration settings can be restored should you lose them in the first place. Your data is safe and secure on Contabo’s exclusive servers. You can choose your backup frequency as per your needs. There are daily, weekly and monthly backup options available. When it comes to hosting plans, Contabo spoils you for choices. For Shared users, there are four levels of hosting available for websites of all sizes and are flexible enough to keep up with websites’ growth trajectory. And when you host your website on dedicated servers, you get to configure your server according to your needs and budget. As an essential add-on, you can expand your server to increase storage, bandwidth and RAM within your existing hosting plan. Plus, to make things easier, customers are given a choice of three control panels. Not only this, there are more than 300 apps available to install with just one click. Contabo would love to host your website and let you choose a plan of your choice. The migration takes place with a negligible downtime so much so that no one will ever be able to make out the difference. The migration service is free of cost. All you have to pay is the price of the plan you will choose. Your website will look the same but will feel faster and more responsive, provided the next plan you choose is better than the previous. Upgrade anytime, anywhere, on the go with Contabo. You went to a conference and got all charged up to boost your online presence and can’t wait until you reach home. So you pull out your laptop and request an upgrade. By the time you reach home, you will have your new servers deployed and running. 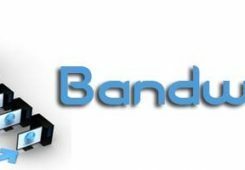 Contabo’s unlimited hosting holds true for the bandwidth only. There’s no unlimited disk space on any plan but there’s certainly more than what your website could use. Unlimited email accounts and MySQL databases are available only with Shared hosting of the highest echelon. Contabo takes pride in its well-maintained infrastructure that’s growing stronger with each passing day. With super fast SSD storage, Contabo gives your visitors a superior browsing experience to return to time and again. SSD storage is reliable, durable and boosts overall performance of your website. Contabo has no mention of NGINX or HTTP/2 anywhere on their hosting plans. But they do support NGINX when integrated with your hosting using external plugins. Customer support means all-round support to customers. We personally bristle at Contabo for not offering Live Chat option which is one of the most convenient ways to get in touch and get prompt answers. Nonetheless, there’s round the clock phone support and email ticketing system to assist customers with any hosting-related query they may have. Contabo has a huge database of articles and support documents that come in handy when phone support is temporarily down and you don’t have enough time or willingness to type an email. A simple keyword search in their blog section will list out relevant articles that should precisely answer your query. Contabo doesn’t offer Live Chat feature, which is one of the drawbacks of using this hosting provider. Contabo provides reliable phone support to customers looking for an answer or any curious prospect who wants to learn more about the plans and features. Their phone support is highly responsive and deserves a special mention in their list of main highlights. With minimum waiting time and a knowledgeable customer representative at the other end, Contabo knows how to handle their customers’ frustration very well. Those who are unhappy with the lack of Live Chat feature, Contabo makes it up to them by offering a responsive and reliable email helpline. Customers can send an email and get a response within 60 minutes along with an assurance of troubleshooting the problem within 48 hours or less. Email ticketing system is useful when you need a documented response for future reference. Contabo doesn’t have their own community forum but if you’d like a second opinion on a new hosting feature or need to know user experience in regard to quality and reliability, you can reach out to active users on third-party forums. Anyone using Contabo will be notified of your query as soon as you post it. Contabo offers cheap monthly hosting service for under $3 without reeling you in a long-term contract. Pay for a month and cancel the next – it’s up to you. When it boils down to customers vs profit, Contabo fails to leave a nice impression. The company seems to put on a cold-hearted attitude when it comes to money-back guarantee, since there’s none. But being a considerate host, they’ll send reminders regarding renewing your hosting plan before it expires, lest reactivation fee will be levied. If you have ever used Contabo’s service in the past, we’d like to know your views on their billing practice. Contabo is a cost-effective hosting service to start with. If you want to put up a basic website of 5 landing pages or less, you can do so for under $3 a month. Their basic plan offers sufficient bandwidth and disk space for your website to live and thrive. As you go up the price spectrum, the disk space increases while many other features remain more or less the same. Customers can get managed services by paying extra whereby their hosting will be managed by Contabo’s proficient team. Contabo doesn’t offer free trial to its curious prospects. Although the prices won’t burn a hole in your pocket should you go for it, a free trial could have been some kind of assurance to the first-timers. Renewal rates have never been a matter of concern for customers since the company charges on a monthly basis with prices remaining the same every month. Contabo definitely gets the brownie points for this wonderful gesture. There are several web applications and plugins available to install in order to give customers an enhanced hosting experience. Apart from that, there are no unfair up-selling practices. The company believes in providing What you see is what you get kind of hosting. Contabo doesn’t offer money back guarantee on any of their plans but you can still dive into their hosting eco-system without worrying about long-term contracts. Contabo features multiple hosting plans within the shared, VPS and Dedicated hosting environments so that customers can choose the plan that best suits their purpose and pocket. All hosting plans feature unlimited bandwidth along with insanely fast SSD storage to give customers what they came looking for. With three different hosting, namely Shared, VPS and Dedicated, as well as multi-level plans within these hosting environments, there’s no dearth of choice for Contabo’s customers. All plans feature standard SSL certificate and are backed by an easy to use website builder for a hassle-free online presence built in no time. 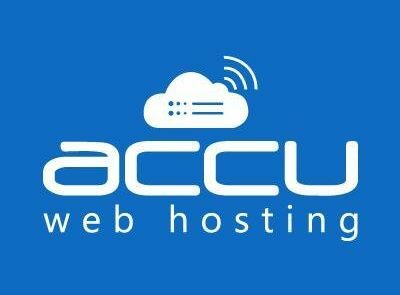 If you are looking for an affordable hosting to begin with and take your baby step in the online world, there’s nothing wrong in starting small. Contabo’s shared hosting plans are designed to meet your hosting needs at the initial stage, and as your website grows along with your business, there are bigger plans on standby for you. 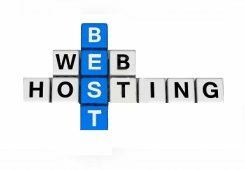 Here are various shared hosting plans to choose from according to your requirements. There are many other features that come as standard with shared hosting to give you a secure experience at an affordable price. You can enjoy free backup and rollback assistance, so you never lose your data again. You will also have SSL support for a strong encryption on your website. Contabo’s VPS hosting is a performance-focused plan that gives you better control and freedom to run and manage your website. With two-core CPU which can go up to 10-core as you go for the more expensive hosting plans, Contabo has the resources to handle a website and traffic influx of any size. With each plan that you choose, there’s a choice of storage between traditional and high-performance SSDs. Just for your information, the performance boost that you get with SSDs trumps the cheaper price of traditional storage. If you go without SSDs, you pay a lower price and get more disk space but there’s a compromise on performance. So choose your plan based on what holds higher priority to you – price or performance. Enjoy full control with the highest ever performance available with Contabo. Dedicated servers are a bit expensive to own and maintain, but when you have several hosting choices which are available at gradual price points, best value for money is guaranteed. Dedicated hosting by Contabo gives you an exclusive access and full control of how your website performs. Being a prestigious user of Dedicated hosting, you will get a reliable customer support at your beck and call, and that too 365 days a year. Contabo is a one-stop destination for buying a domain name with any extension you name. Once you have your domain registered or transferred, Contabo will get your website off the ground with a selection of various hosting plans. There’s a choice of over 300 domain extensions with Contabo, and the prices vary with the type you choose. As a customer of Contabo, you can manage your domains from within the cPanel, while any updates, transfers and new registrations can be done in your login area independently. Contabo provides secure and fully powered housing for your private servers. Also, there will be an associate on standby for server monitoring and maintenance 365 days a year. With insanely fast Internet connectivity, uninterrupted power supply and temperature-optimized spaces, your servers will function at peak efficiency, at all times. Contabo is a reliable hosting provider that is best known for its affordable VPS plans. Shared and dedicated plans work fine as well, but if you want to experience the best that Contabo has to offer, then VPS is your first choice. Their award-winning data centers have name-brand hardware, which is fully owned and managed by the company itself to ensure error-free operations. With scalable hosting environment and great security features, your website can make smooth transitions as your business grows. 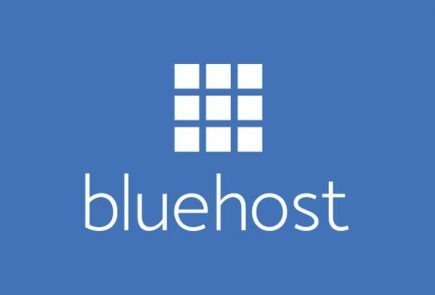 We would refrain from recommending this hosting service to newbies because there’s no money-back guarantee. That means if you are unable to handle your hosting account due to lack of technical expertise and want to quit, you’ll end up losing your money. One of the major concerns is their 95% uptime guarantee, which falls well below the benchmark of 99.9%. However, the company mitigates this apprehension by delivering more than what they promise. They are positive about the fact that their uptime is as good as their competitors. • No 24/7 support. The company offers customer support 365 days a year, but available only during business hours. Q1: Do I get Windows hosting with Contabo? Ans: Contabo offers a choice between Windows and Linux hosting at all levels, whether Shared, VPS or dedicated, encouraging both beginners and tech-savvy customers to use their services. Q2: Does Contabo provide unlimited bandwidth and disk space? Ans: Contabo offers unlimited bandwidth across all hosting plans but Disk Space is limited and varies from plan to plan. Q3: Can I transfer my domain from my existing provider to Contabo? Ans: You can transfer a domain from another service provider to Contabo using the authentication code which needs to be provided by your current provider. The process is simple and straightforward. Q4: Do I get SSL certificate with Contabo? Ans: Yes. Contabo provides SSL certificate as standard with all hosting plans, from Shared to VPS through to Dedicated, and there’s no additional fee for that. Q5: Can I host my Magento website on Contabo? Ans: Yes, it takes just one click to install Magento web application and have your Magento site running in no time after a few configuration adjustments. Q6: Does Contabo take automatic back ups? Ans. Yes, your website and all its content are safe with automatic backups taken regularly by Contabo so that you can easily rollback to the closest point from the time when you lost your data, in order to have the most of it recovered. Q7: How many email accounts does Contabo offer? Ans: You can have 1000 email accounts to start with basic shared hosting and can go up to unlimited accounts with the more expensive plan. Q8: How long is the support staffed per day? Ans: Contabo offers a reliable customer support for 365 days a year, including Sundays and Public Holidays, but limited only to business hours, from 8 AM to 11 PM. Q9: Does Contabo offer Money-back guarantee on all packages? Ans: Contabo does not offer money-back guarantee on any of their plans. While this might come across a bit shady for beginners, trust will build on itself as you get along with their services. Ans: Contabo does not offer reseller hosting plan. It caters to small and big businesses who typically focus on their website’s growth and are not looking for a money-making opportunity. Q11: How many programming languages does Contabo support? And: Because Contabo supports both Windows and Linux server, they support all programming languages that you may need. Q12: How can I contact Contabo’s customer support? Ans: Contabo has staffed customer support for phone and emai enquiries. Sadly, there’s no live chat support, and the phone lines are open only from 8 AM to 11 PM. Just in case an issue arises in the dead of the midnight, you will have a solution by the morning. No 24/7 support. The company offers customer support 365 days a year, but available only during business hours. With scalable hosting environment and great security features, your website can make smooth transitions as your business grows. 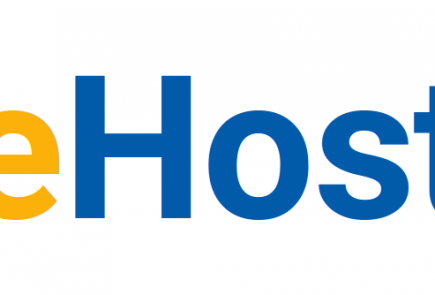 We would refrain from recommending this hosting service to newbies because there's no money-back guarantee. That means if you are unable to handle your hosting account due to lack of technical expertise and want to quit, you'll end up losing your money.